Get ready to experience the yoga retreats like never before. 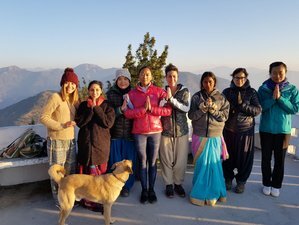 Rishikesh Yoga Retreats offers one-week yoga and meditation retreat for beginners on the foothills of the Himalayas with all residential facilities in Rishikesh India. This is an easy form of yoga training for the beginners. This yoga and meditation retreat in Rishikesh is made flexible for the sake of promotion of positive health. Hence everyone is eligible to get the common guidelines of yoga. A person gets an idea of the normal events of life. People will come to know how to be healthy and happy. You will be accommodated at Rishikesh Yog Sansthan in Rishikesh, India. From Monday to Saturday, you will follow the same schedule, and on Sunday you will go for an outing. This program takes place in Rishikesh, India. Free Wi-Fi, library, yoga material, T-shirt, etc.